Energy & Conservation Organization (ECO) of Student Government held its annual Green Fair on Nov. 4. 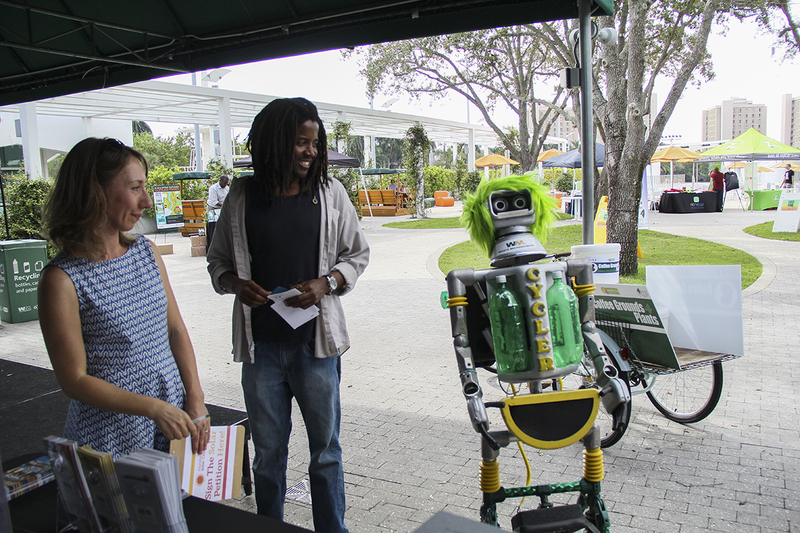 As its members walked past the Lakeside Patio, ECO brought a taste of its environmental initiatives to students around campus. During the event, attendees had the opportunity to learn about recycling, make their own detergent and grocery bags and take a carbon footprint survey, which tracks students’ habits at UM and how they relate to their greenhouse gas emission. The results of the survey will be published in the spring. The fair reflected ECO’s goal to educate the UM community about sustainability initiatives and small actions students can take on a daily basis to help the environment that surrounds them. Locations like the dining halls and the UM Bookstore have already started to take measures to introduce eco-friendly practices. UM Dining’s Imperfectly Delicious Produce program establishes a connection between farmers and the university to positively influence the food supply chain. Krysta Samuel, manager of the Mahoney-Pearson Dining Hall, used a small piece of imperfect broccoli to explain that the broccoli consumers buy in the grocery store is beautified after farmers clip off bits and pieces. The UM Bookstore has partnered with Renew Merchandising and will soon start to sell clothing made out of recycled plastic bottles. During the Green Fair, company representatives showcased the designs and gave away green and recycled tote bags. The Green Fair also gave ECO the opportunity to talk about the newly implemented solar panel system on top of the food court.